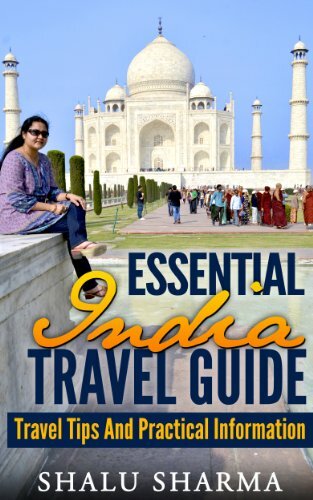 The ebook is called “Essential Hindi words and phrases for travelers to India” which is now available on Amazon. 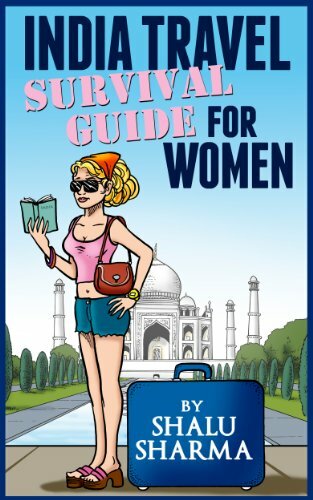 The ebook consists of the most likely Hindi words and phrases to conversations that a traveler might encounter when in India. The book is competitively priced so that visitors to India can benefit from the low price. Being from Bihar, the Hindi belt also known as the cow belt of India, and someone who has traveled around the world and India, I don’t think there would have been a better person qualified to have compiled these Hindi words and phrases. This will perhaps be one of the most comprehensive of all Hindi words and phrase ebook meant exclusively for travelers to India. 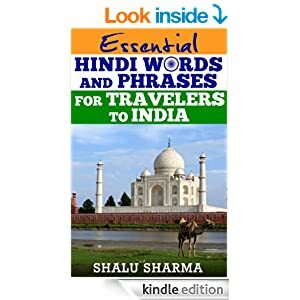 So grab a copy of your “Essential Hindi words and phrases for travelers to India” from Amazon. Congratulations and wonderful indeed! Yes, speaking in Hindi or understanding the language when a foreigner comes to India is the toughest part for most people. I’m sure with all the help through your problem, this book would be resolved and simplified for them. Thank you Harleena. Many touts, agents and others take advantage of the language barrier. I hope this book will be useful to those coming to India. Thanks for commenting Harleena and best wishes to you too. 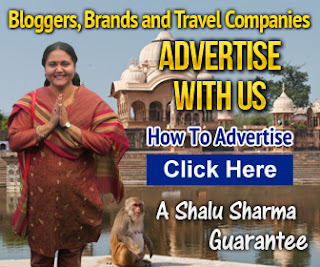 Shalu , you are becoming famous day by day with your work quality and the information you provide regarding the travel is really awesome , I will also suggest this blog to my friends who also love travelling . Thank you. I don’t think I am famous but thanks for the compliment. I try my best Abhay, thanks for the comment. I agree it’s a very good idea to invest some time in learning the language of the country one is planning to visit. Knowing or even understanding the native language can be really helpful. I think language is important specially if you haven’t been there before. Thanks Priyanka for your comment. It seems a good book for travelers not only for foreigner but also a good asset for traveler from non-Hindi speaking states in India. I also hope so Devya. Thanks for your comment. Great ebook Shalu. I said it once but I don’t mind to repeat: Do have a bunch of success with it. You deserve it. A lot of work being done and very helpful. Thanks for your nice words Daniel. Congratulations and dhanyavaad Shalu! 🙂 It’s good to see another book from you. I was always wondering how difficult Indian language is. I gotta learn some words before I head to India next year :)and your pocket dictionary might be useful. I hope it will be useful. Thanks Agness for commenting and sharing. This is indeed a nice innovation and would worth a grab :). I am planning on coming to india soon and i am sure it’s gonna be useful to me as well. Hey that’s great. Let me know if you do plan to buy it. Thanks for your comment. This is yet another excellent Idea . I really appreciate your efforts in promoting our beloved country by making people aware of our culture , language , food ..etc .I wish you best of luck with this eBook and i hope it sees many sales . I try my best. I am glad you liked the idea. In fact, this is the first book of its kind on Hindi words and phrases exclusively for travelers to India. The inclusion of above hindi conversation will be much helpful for the travellers especially for converstaion while renting a taxi. Also, conversation with beggers is also important inclusion in the ebook. My suggestion is to also include the Indian currency related information like conversion rate of major foreign currency. I liked your suggestion. I will definitely consider it. Thank you. Is this your second book? Essential Hindi Words And Phrases For Travelers To India, Its really great work! Those who are non-hindi and planned for a trip to India, This book is very helpful for them. You have highlighted those hindi phrases that are very essential and important for travelers to travel in India. Yes, this is my second book. I too hope that this book will be useful to those coming from outside and wants to learn some Hindi. Yup you are right with you article ! These are the great Essential Hindi words for Indian travel, There is such much need in Essential Hindi words for Indian travel. Thank you Ajay, that is precisely my intention – to help those from outside who wants to learn some Hindi before coming to India. It’s a Hindi word and phrase book for those who are not comfortable with the language. I remember the site indiamike.com, it exists today also. But now I find another site that is yours which provide useful information for travelling rather than all other sites providing huge list of itinerary only. India is a great place to visit and the information you are sharing will really be very helpful for every one. Congratulations Shalu. I’m sure this one will be much appreciated not only by frequent travellers but by anyone who’s interested to learn something new and useful. Thank you for coming up with ways to make our lives a lot easier. I’m sure this material will be a big hit not only to the frequent travellers but to all of us who, at some point in our lives, might encounter the need to use this foreign language. Thanks for the Sharing as we know Taj Mahal is one of most Beautiful Place in world and it is in seven wonders of the Earth. So Thanks my Dear friend For Sharing It. I get it clear idea about your topic. All the points are explained very clearly. Thank you @shalu , all information is appreciable! not only words, it gets me clear about my doubts and none of it part is useless.